Michelangelo Buonarotti is considered to be one of the greatest artists of all times. Even in his era he gained the title 'divine Michelangelo' because he could equally succeed in painting, sculpture and architecture and leave incomparable masterpieces to the world. His talent was as impressive as his ambition. Only very few people knew the shy artist . Vittoria Colonna, a great poet and artist herself, was able to understand the stubborn man, who would only think of his work. 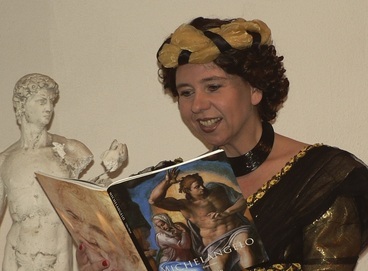 His soul mate, Vittoria, tells the story of Michelangelo and his struggle for perfection and fulfillment.